When creating a timeline item, you can add a link to more information. You can add a link to a content page, a link to an external webpage or a link to a downloadable file. This is an example of a content page you can create in the admin panel. Every content page you link to from the timeline can contain text, github style task lists, images, videos and files. Learn more about formatting text, adding images, etc. As you can see, these content pages are very handy for presenting wireframes and mockups. 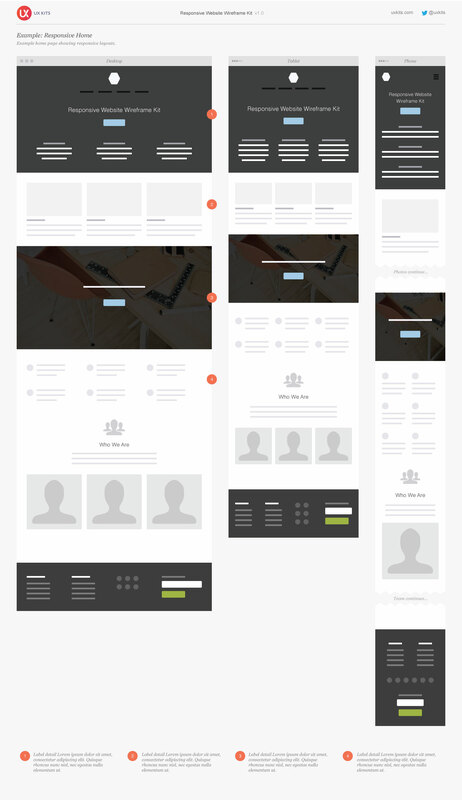 This wireframe is part of the responsive website wireframe kit of UX Kits.